22/12/14 -- Soycomplex: Beans closed around 7 to 8 cents higher. Weekly export inspections of 2.234 MMT were very strong once again, continuing with the recent theme. Brazilian weather generally looks favourable, Dr Cordonnier was said to have raised his forecast for the 2014/15 soybean crop from 92 MMT to a record 93 MMT on Friday. Harvesting of that can't come soon enough with US exports continuing at this pace. For Argentina he was unchanged at 55 MMT. Planting of that crop is a little over three quarters done. Chinese customs data shows that they imported a little over 6 MMT of soybeans in November, taking the calendar year to date total to 62.87 MMT, a 12% rise on a year ago. Imports this month are expected to peak at around 7.5 MMT, taking 2014 imports to something like 70 MMT. Jan 15 Soybeans closed at $10.38 1/4, up 7 3/4 cents; Mar 15 Soybeans closed at $10.45 3/4, up 7 1/4 cents; Jan 15 Soybean Meal closed at $368.40, up $4.90; Jan 15 Soybean Oil closed at 32.04, up 7 points. Corn: The corn market closed with small gains. Fresh fundamental news for corn was light. 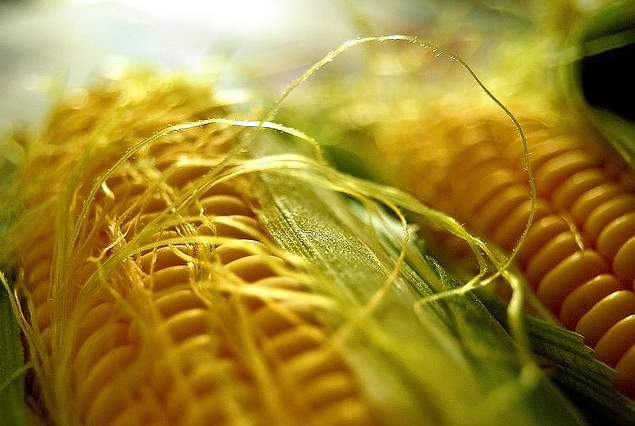 The USDA announced 166,600 MT of US corn sold to unknown for 2014/15 shipment. Weekly export inspections were 790,415 MT, which is a routine kind of number. They need to be above 900 TMT to reach the USDA's target for the season. Inspections for the season to date are less than 25% of that target versus almost 29% normally at this time. "Many key growing regions of South America received good rainfall over the weekend. Any flooding that resulted from the heaviest of rain fall is viewed as a very minor issue. Forecasts point to favourable conditions for most regions during the next couple of weeks," said Benson Quinn. Dr Cordonnier was unchanged on both Brazil (72 MMT) and Argentina (21 MMT) in his weekly estimates on Friday. Syngenta said that they had received confirmation from China, approving MIR 162 corn as safe for import. Chinese customs data has them importing only 259 TMT of corn in November, down almost 68% from a year ago. Calendar year to date imports are 2 MMT, down almost 19% versus Jan/Nov 2013. Mar 15 Corn closed at $4.11 3/4, up 1 1/4 cents; May 15 Corn closed at $4.20 1/4, up 1 1/4 cents. Wheat: The wheat market closed lower, reversing overnight gains. News that Russia is to introduce export duties was friendly. News that US wheat was comfortably outpriced in Egypt's latest wheat tender was not. After weighing things up it seems that the market decided that the main beneficiary of the Russian news is likely to be Europe, not the US. France won 240 TMT worth of Egypt's 300 TMT purchase, with Russia picking up the remaining cargo. Egypt said that they now have sufficient wheat purchased to last them until the end of April, although that certainly doesn't preclude them from tendering again soon. The Russians are expected to reveal the magnitude of these new export duties tomorrow, and some think that these could be pretty hefty, to discourage foreign sales and allow the government to procure stocks for intervention at better rates than they have managed to achieve thus far. Late in the day news emerged that the Russian Exporters Association had applied to the government to postpone the imposition of the new duties until March 1, 2015. That would allow for existing sales to be largely fulfilled, they argued. It remains to be seen whether they will agree to this, but it seems unlikely to me. Mar 15 CBOT Wheat closed at $6.25 3/4, down 6 1/2 cents; Mar 15 KCBT Wheat closed at $6.57 3/4, down 8 1/4 cents; Mar 15 MGEX Wheat closed at $6.45, down 3 1/4 cents.